Deliveries of the double-decker A380 jets will stop by 2021 as Emirates, the only remaining major buyer, cut its order by 39 jets. Airbus SE scrapped the slow-selling A380 superjumbo model that was once its flagship program after just a dozen years in service. The European planemaker will cease deliveries of the double-decker jet in 2021 after Mideast carrier Emirates, the only remaining major buyer, cut its orderbook by 39 jets, it said in a statement Thursday. “As a result of this decision we have no substantial A380 backlog and hence no basis to sustain production, despite all our sales efforts with other airlines in recent years,” Airbus Chief Executive Officer Tom Enders says in release. 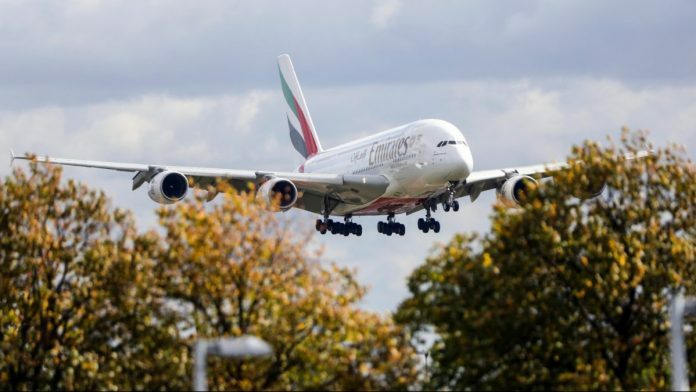 The ax has been hovering over the A380 for years after most top airlines bought only a handful of the jets, but the end has come quickly after Airbus said Feb. 1 it was reviewing the future of the remaining backlog at Dubai-based Emirates. The decision will help create a clean slate for CEO-designate Guillaume Faury when he takes over from Enders in April. While it will affect 3,500 positions over the next three years, the ramp-up of other models will blunt the impact on employment levels. Emirates will take only 14 more A380s while ordering 30 A350s and 40 smaller A330neos, leaner twin-turbine planes worth $21.4 billion at list price, with deliveries starting 2021 and 2024 respectively. It said the superjumbo will remain in service into the 2030s.